At the end of the day do you ever look at the pile of work on your desk and wonder if you actually got anything done? These thoughts can lead to stress and feelings of helplessness. The cure for these thoughts is effective time management. Time management is such an important topic, companies hire experts to teach seminars on managing time effectively. Of course if you are anything like me, you sit in the class thinking about all the things you could be working on instead of attending the presentation. Instead check out these 8 simple tips to decrease stress and increase your productivity. Track your time- Finding out where you waste time is important. Keeping a log of how you spend your time is a great way to determine where your time goes. 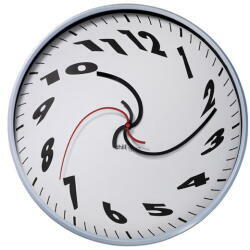 If one of your biggest time wasters is email, schedule time throughout the day to check email and set a time limit. Get more sleep- Getting plenty of sleep each night will improve your ability to focus which increases efficiency and productivity. Clean your environment- Having a clean and organized work space makes it easier to find needed items. It also decreases distractions which in turn decreases stress caused by inability to focus. Take a break- According to a University of Illinois study, taking breaks helps a person stay focused during the work day. So go ahead and grab that coffee or take a walk around the building. Plan- At the beginning of every week you should make a list of projects for the week. This will improve efficiency since you won’t spend time figuring out what you need to work on next. Always start with tasks that need to be finished first. When you finish a task, don’t forget to cross it off your list. The action of crossing off the task triggers the release of endorphins in the brain. Limit distractions- If you are working on a big project or a task you don’t like, it is easy to let yourself get distracted. Staying focused will help you complete the task faster. Limiting distractions may mean shutting your door and not checking email until the task is completed. Say no- Although it can be hard to say no to a new project or case, every successful lawyer knows that sometimes you need to pass on opportunities in order to stay sane. Spreading yourself too thin causes exhaustion which can lead to mistakes on cases and possible claims. If you are still hesitant to say no, you can always say “not right now.” If the project or case is important enough, the person may be willing to wait until you have more time. *This blog article is a repost from the September issue of Lawyers Mutual Put Into Practice.